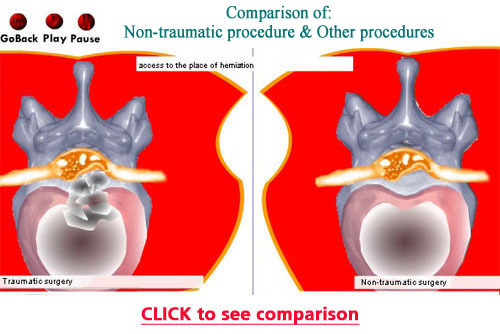 Why is our Laminotomy and Foraminotomy better? Minimally invasive lumbar spine surgery is best done at the Back Institute because our technique targets the exact problem. 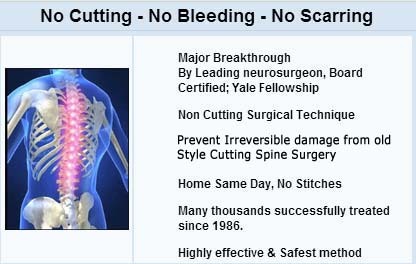 Many centers do spine surgery in an exploratory manner, cutting apart and removing normal, important parts of the spine when it is not actually necessary to do so. At the Back Institute, we do exactly what needs to be done for the patient, and no more. 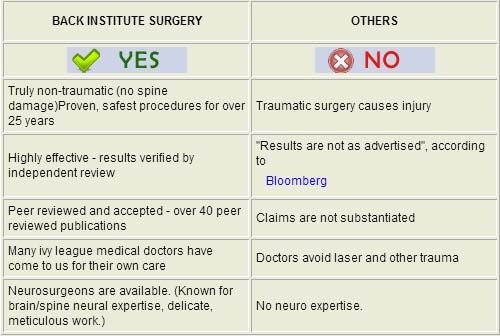 Top doctors from elite universities come to the Back Institute as patients themselves, for their own spine treatment. 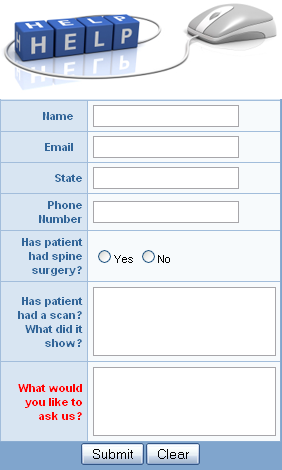 The procedures are performed by top spine surgeons with the highest credentials. Our surgeons are on staff at some of the best hospitals in the country. The procedures are performed with specialized equipment to make the size of the skin opening the minimum that the patient needs. Our surgeons are invited to participate in scientific conferences and have written over 40 peer reviewed publications. The procedures are done in specialized spine treating facilities with the highest accreditations and certifications. Laminotomy is a spinal decompression surgery involving the lamina, a bony layer that covers and protects the spinal canal and spinal cord. Foraminotomy is an operation used to relieve pressure on nerves that are being compressed by bone in the intervertebral foramina; that is, the passages through the bones of the vertebrae that pass nerve bundles to the body from the spinal cord. A foraminotomy is performed to relieve the symptoms of nerve root compression, in cases where the foramen is being compressed by bone or excessive ligament development and results in a pinched nerve.